Several years ago, I met legendary Chicago educator, the late Marva Collins, at a Georgia Charter School conference in Atlanta. During lunch, I asked Collins about her then-controversial support of charter schools. Â She matter-of-factly stated that she supports all good schools that work for kids. She further said thatÂ she doesn’t get distracted by the type of school. She went on to say that we lose too many kids to bad schools therefore, she emphasized, we should mimic all great schools that work, even charter schools. I sure wish that Black Lives Matter and today’s NAACP (groups that I support) could talk with Marva Collins. Amid lingering racial challenges, growing income disparities and widening political gulfs, both groups have helped to cast education as an either/or proposition. Either you educate kids their way, through the one system that they support, or you are wrong. Hence, their stance against charter schools really extends beyond their call for a moratorium on charter schools. These groups have designated themselves as gatekeepers for black parents as to what form of education is acceptable. In addition to playing the role of education decider for the black community, these groups are seemingly more motivated by the politics of the day than by the quality of black kids’ learning environment. Marva Collins was right: With the educational disparities facing our community, less is not more. Our kids learn best when we embrace any and all learning modalities to fit their needs. But we also need to respect our parents. I value the role of parents in the education of their kids. We do not have the luxury nor do we have the right to dictate to parents which learning modality they should pick–especially if they think it will help their child learn. Rather, we should endeavor to provide the public with as many diverse options as possible. Those options are essential in addressing the growing diverse needs of today’s student. Once we go down the road of limiting those options–particularly those with a proven track record of success–or deciding for parents what options they have, we move down the slippery slope of doing more harm than good. Right now, over a million kids are on charter school waiting lists. Each of those families views the specific school they have applied to as THE school that would help their child learn. Instead of talking about moratoriums, Black Lives Matter and the NAACP should be gleaning the best practices from those charter schools that are working and try as best they can to replicate them. Just like Marva Collins said to me. A critical issue facing America concerns how we best prepare our future generations for the world of tomorrow while mired in this current, combative political environment. The education of our children represents a big part of the answer to that question. The best way to get our kids educated is to think expansively and not constrictively. That is why I speak more and more about building a learning culture in our community. Somehow, we must motivate kids to want to learn as opposed to telling them they need an education. When kids are fired up about learning, there will be less focus on replacing or saving our education system. Great schools will grow from the public demand for superior education options. The current debate over the utility of charter schools is good for the black community. It also gives us an opportunity. The tension serves to excite what’s possible in education for our children. We must, however, rise above the increasingly toxic, knee-jerk politics of education. After all, educated black lives also matter. Kevin P. Chavous is an attorney, author, national education reform leader. Â He also is a former member of the D.C. Council. He recently released his third book, Building A Learning Culture in America. Kevin P. Chavous is a noted attorney, author, and national education reform leader. 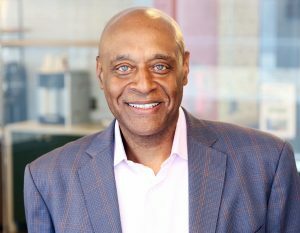 As a former member of the Council of the District of Columbia and its education committee chair, Chavous was at the forefront of promoting change within the District public school system and helped to shepherd the charter school movement and school choice into the nationâ€™s capital. Mr. Chavous is the author of three books, the most recent being, Building A Learning Culture in America.